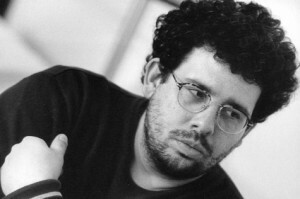 Neil LaBute explains what lead to his involvement in the industry. I started hearing all these stories about these guys who had done these sorts of outlandish things to get money to make movies. You know, Robert Townsend with his credit cards, and Kevin Smith, who was working in the convenience store at night; and Robert Rodriguez doing some kind of chemical testing on himself, you know, medical experiments, and some other guy taking his money and putting it on red in Atlantic City — crazy ways that they raised 25,000 bucks. The reason I’m that here today is complete stupidity, which was that I believed wholeheartedly those stories. Filmaka Member Varda Hardy Films, Edits, and Rocks for Equality! Craig Miller CEO and Founder of MZA Events (and founder of the AIDS WALK) came up with the idea of holding a national event addressing the issue of the Social Security System’s discrimination against elder Gay & Lesbian Americans. Most Americans receive the social security benefits of the higher earner when their life partner dies, but Gay & Lesbian Americans are denied these benefits (even though they must pay into the system just like everybody else!). The Rock For Equality event to be held in the spring of 2010 here in Los Angeles and in Washington DC, will both inform the public of this unfair Social Security policy and raise funds to change the law. Craig and his team wanted a “viral” video, a compelling “elevator pitch” video, and the third video that would give the public a sense of the suffering that elder Gay & Lesbian Americans experience when their life partner dies and they are denied benefits which they paid into. I addition, I suggested they needed a fourth video, an animation that would give potential participants a “visual” of the Rock For Equality event which is very original and new to the public. For the viral, I came up with the sci-fi idea which at the time felt so “out of the box” that I was nervous to pitch it. Luckily, the MZA Events team really got it. Karen Lavender and Jamie Bullock of LiveTribe Productions came on board to produce the videos. My friend, Taylor Negron co-write the sci-fi script with me. Jimmy Ahlander (also a director at LiveTribe Productions) created the animation, and a team of truly creative crew members including DP: Daron Keet, Art Director: Robert Fox & Make-up Artists: Maya Murakami & Dan Kaplan and editor John Irwin joined forces with me to create what emerged as “From Another Planet” and three other videos. The “elevator video” and long form inspirational video feature real people who have suffered the inequities of social security discrimination. I wanted to give these videos a “heightened” but uncluttered visual quality so that no elements in the frame could distract from the subjects and their compelling stories and at the same time, I wanted to make them visually compelling to engage the viewer. I hope you can check out the videos and let me know what you think. AND go to www.rockforequality.org to support equal rights for Gay & Lesbian Americans. Career Advice from Reed Martin Cont. All Content, Industry Insiders, Interviews Comments Off on Career Advice from Reed Martin Cont. Did our last Reed Martin interview have you begging for more? The wait is over!! We have another amazing interview from Reed Martin. This time he tackles the questions of working your way up the industry ladder, the difference between television and film, and ‘making it’ in Hollywood. For more advice buy Reed Martins book on Amazon. Tucker & Dale at Sundance! All Content, Competitions, Industry Insiders, Success Stories Comments Off on Tucker & Dale at Sundance! Filmaka founders Thomas Augsberger and Deepak Nayar are about to launch their new film Tucker & Dale vs Evil at Sundance! Tucker & Dale are two hillbillies are accused of being killers by a group of college kids camping near the duo’s cabin, starring Tyler Labine, Alan Tudyk and Katrina Bowden. The film is directed by Eli Craig (The Tao of Steve). The First screening will be Friday, January 22, midnight – Library Center Theater, Park City. For those lucky filmmakers who are heading to Sundance themselves click here for the full schedule. Cant get enough Tucker & Dale? Follow them on Facebook and Twitter. Ready for more advice from author Reed Martin (“The Reel Truth”)? This time, he answers several more of your questions – Should you go to film school? Do screenwriters need agent? How important is networking? 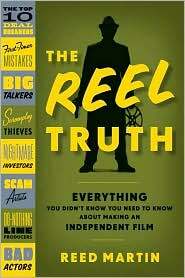 Reed’s “The Reel Truth: Everything You Didn’t Know You Need to Know About Independent Film” is a great resource for independent filmmakers (as well as an entertaining read) and can be purchased wherever books are sold, including Amazon where it is on sale. 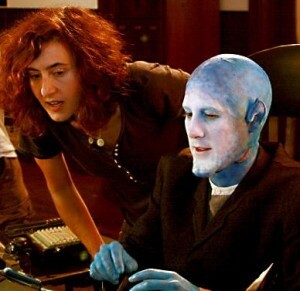 Keep on checking the Filmaka blog as Reed will be answering more of your questions. 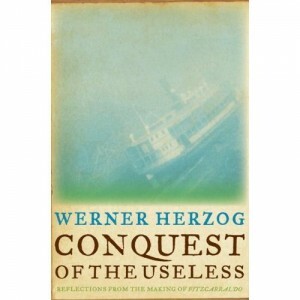 We got a huge response for the Werner Herzogs new book Conquest of the Useless: Reflections from the makings of Fitzcarraldo. Congrats to the lucky winners: Alan Flurry (Georgia), Jussi Rautaniemi (Finland), Oivind Klungseth Zahlsen (Norway), Sergio C. Ayala (London), Spike McKenzie (Australia), George Keates (ENGLAND), Carlos Duran (Mexico), and Rinaldo Quacquarini (London). For those who did not get the book, don’t fret! The book is available on Amazon. Pick up your copy and peer into the complex mind if Werner Herzog. Congrats to Colin Firth for his Golden Globe nomination for A SINGLE MAN! Well done.....we bet this is the first of many nominations to come this season. Author Reed Martin recently stopped by the Filmaka office in Los Angeles to answer questions Filmaka members submitted about independent filmmaking, everything from creative and castng to financing and marketing. Those are among the topics of Reed’s new book “The Reel Truth: Everything You Didn’t Know About Making an Independent Film.” Reed, who is also a professor at NYU’s Stern School of Business, spent several years interviewing such filmmakers as Darren Aronofsky, Danny Boyle, Jim Sheridan, Lee Daniels, and Filmaka’s own Werner Herzog about the lessons they learned while making their indie films. Here’s the first in a series of videos in which Reed answers questions submitted by Filmaka members. “The Reel Truth” is a great resource for independent filmmakers (as well as an entertaining read) and can be purchased wherever books are sold, including Amazon where it is on sale. Keep on checking the Filmaka blog as Reed will be answering more of your questions. Exciting news! Fellow Filmaka Member Sammi Lau’s film “Train Republic” has been selected for official competition at the GuangZhou international Documentaries film festival.